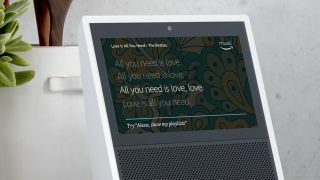 Amazon’s Echo Show — the Alexa-powered device that displays videos as well as spouting friendly banter — is now showing quite a bit less than it used to thanks to Google. The wording here is trickier than it looks at first, as Amazon might actually be saying that the customers didn't get an explanation from Google. Amazon itself could be another matter. Google didn’t spell out what the violations are in its statement, but it’s possible they have something in common with its similar shutdown of Microsoft’s YouTube app for the Windows Phone in 2013. Much like the original Windows Phone app, the Echo Show didn’t allow advertisements to be shown, cutting off a huge source of revenue for Google. And it may go beyond that, as the Echo Show’s elegant simplicity resulted in culling some of YouTube’s features, such as recommended videos, subscribed channels, comments, and sharing. That may not mean all hope is lost for Echo Show users, who likely picked up the Show expecting YouTube to be one of the chief uses for it. After all, it’s basically the modern spin on the kitchen TV. A few months after the Windows Phone debacle, Google finally released its own app for the admittedly neglected Windows Phone platform, allowing for uploads and, naturally, advertisements. Amazon Echo Show, by the way, is scheduled to come to the UK in November. It's available for pre-order for £199.99 on Amazon UK now.